Yummy! 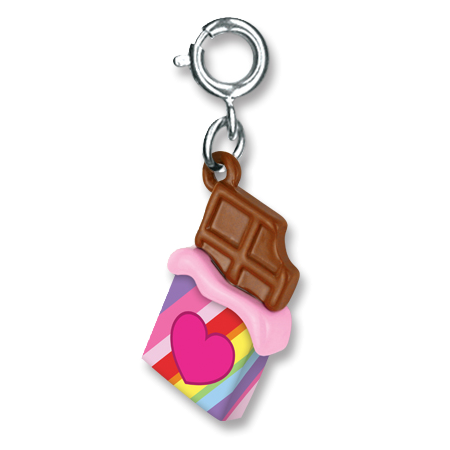 This chocolate bar charm looks almost good enough to eat! Oops! Did I just take a bite? 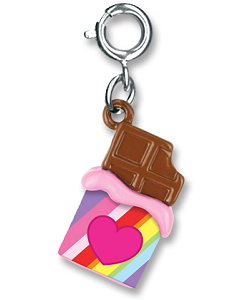 This fun rainbow chocolate bar charm features a pretty-in-pink heart on the front of the cheerful rainbow-colored wrapper. With a simple snap of a clasp, girls can personalize their CHARM IT! jewelry with this CHARM IT! 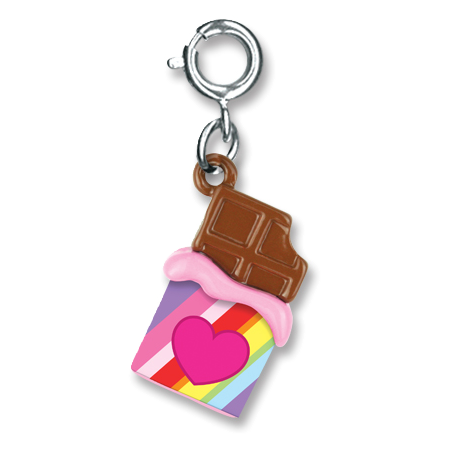 Rainbow Chocolate Bar charm.